A few years ago, when Justin Gardner was working in the regenerative wound care industry, his agency created a skin repair technology that it sold to hospitals for various healing applications. The product killed bacteria without harsh chemicals and also sped the recovery process, so Gardner would always pack some for his own personal care when setting off on adventures near and far. 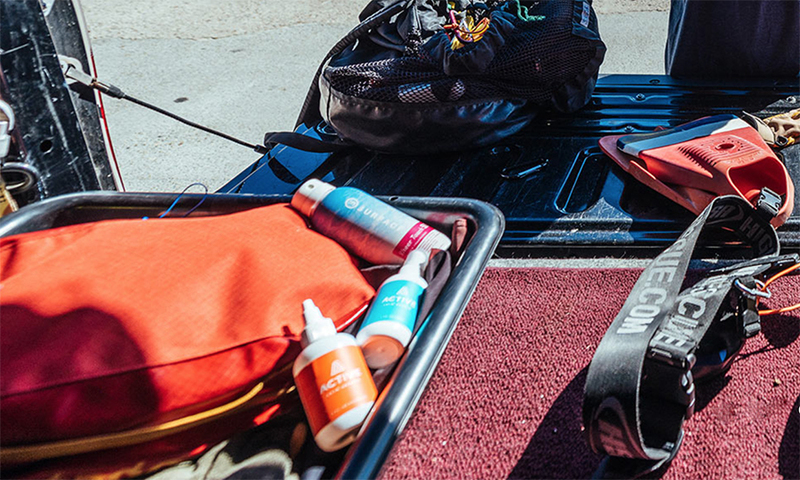 After all, what skier, surfer, hiker or runner hasn’t needed to treat a cut, scrape, scratch or gash? 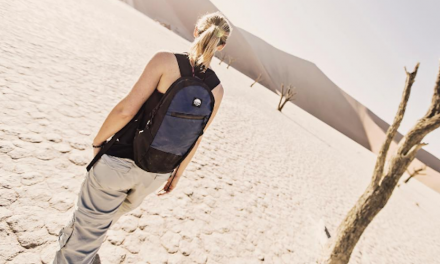 “I’m an avid outdoorsman and traveler, so I started to take it with me on my surf trips and all my explorations around the world, and it just became that staple,” Gardner told SGB during a recent conversation. 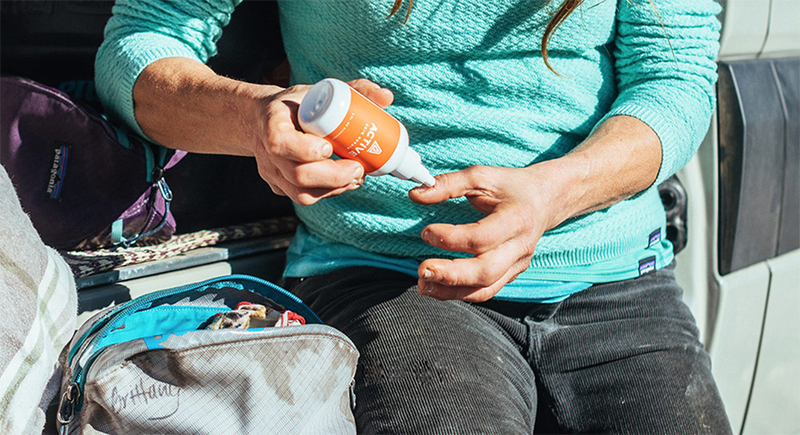 The skin repair product became so popular among his traveling partners and other surfers who saw how well the product worked that they began asking for samples. That’s when Gardner glimpsed a consumer market well beyond the health care industry. The rapidly growing appeal of the wound care product, whose active ingredient is Hypochlorous (HOCl), inspired Gardner to acquire the product’s over-the-counter license from the medical supplier and launch a company to bring it to market. Let’s give the evangelists what they want and create more of them in the process, he thought. 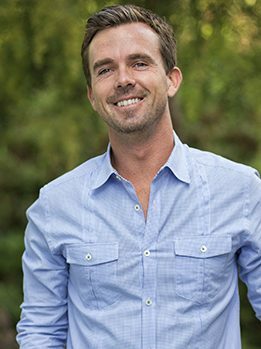 In January 2017, Gardner formed BLDG Active in La Jolla, CA, with three partners—Jason Baldessari, whose background is in the action and outdoor sports space; Mat Robar, who has a strong digital skill set; and Dean Tozer, an investor who was one of Gardner’s clients in the regenerative medicine company and also works for a health care private equity fund. BLDG Active began with two products—a spray and a gel—that are 100 percent natural, non-toxic, antibiotic-free and non-sensitizing (meaning they don’t sting). The company’s tagline is “built on a foundation of biotech entrepreneurship and a love for outdoor sports,” and it fittingly debuted at the GoPro Mountain Games in Vail, CO, about six months after launching. 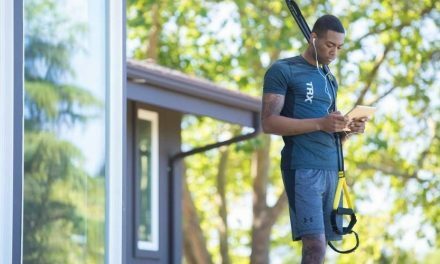 Ever since then, the company has been adding employees and expanding its brand at a healthy pace, and Gardner, the CEO, said the focus now is taking BLDG Active to the next level. The company has a cadre of new additions to help grow the brand, including athlete ambassadors such as mountain biker Brian Lopes and surfer Damien Hobgood, as well as a medical director and a content director. The company even brought on a filmmaker to elevate its branding and marketing efforts. 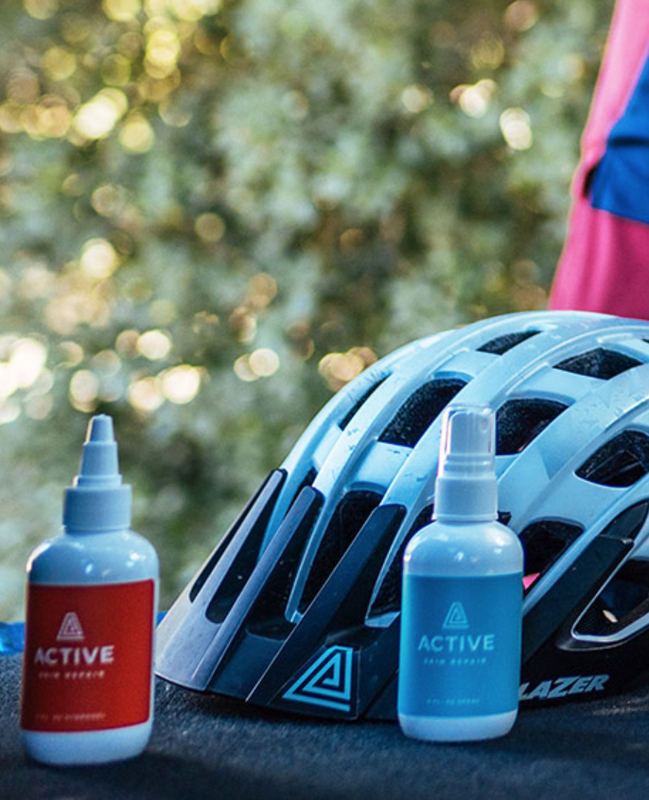 As part of this new chapter, the company is giving its brand a refresh, which includes some alterations to the logo and an emphasis on an updated go-to-market name for its two flagship products—now called Active Skin Repair to differentiate from the formal corporate name, BLDG Active. But Gardner said the biggest change is the debut of a kid’s and baby line, an idea that came from listening to the families of the company’s own athlete ambassadors and testers. Active Skin Repair Kids will launch May 1, and Gardner said the new line will help BLDG Active evolve its brand and solidify its position in the marketplace as a mix between skincare and first aid—a new category called skin repair. As BLDG Active hones its messaging and finds new ways to resonate with consumers, it’s also planning to double down on its channel strategy, which has been and will continue to be focused on specialty retail. Active Skin Care is in more than 300 doors right now, Gardner said, and the company has found success getting the product near counters where it doesn’t take up too much space yet provides nice margins for the retailer. Gardner said the company doesn’t disclose revenue, but he told SGB that from 2017 to 2018, BLDG Active grew 10x and is quickly approaching seven figures, though things might slow down due to ongoing product and business expansion. That path is centered on the outdoor market. The company exhibited at Outdoor Retailer soon after launching, setting up a 10×10 booth on the show floor, only to learn—rather quickly—that they were out of their element in terms of capital and not quite ready for that much exposure that early in the company’s lifecycle. That’s not on tap in 2019, he said, but the company recently added some new distributors, some of whom display products such as Active Skin Repair at their own trade show booths. Pair that with grassroots messaging via influencers and donating to 1% for the Planet, and it’s clear that BLDG Active is fully committed to the active lifestyle marketplace. The company does plan to have a capital raise this year, which will allow it to be more aggressive with advertising and marketing, Gardner said. At that point, the goal is to get Active Skin Repair into the hands of more consumers by further investing in R&D, marketing and distribution without turning its back on the channels that brought the company this far. In other words, BLDG Active wants to grow the top and bottom lines while staying true to its roots.